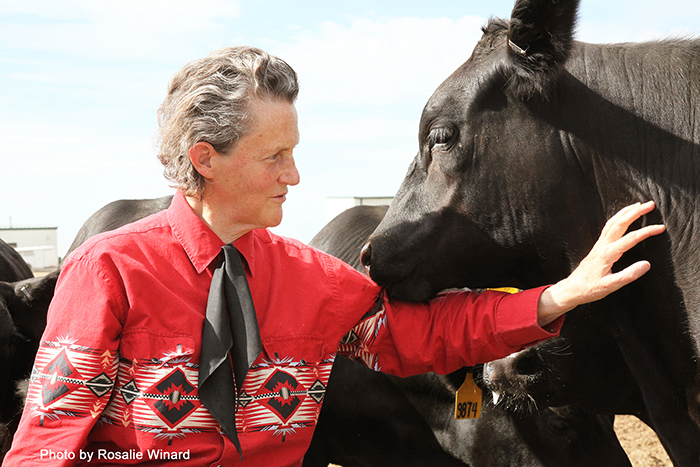 UPDATE - Feb. 1 - General tickets for Dr. Grandin's presentation are sold out. For those unable to reserve tickets, the event will be streamed online through the OVC Digital Network beginning at 7 p.m., Feb. 13. Click here to watch. Tickets became publicly available Feb. 1 and were sold out the same day. The fieldhouse doors will open at 6 p.m., and all tickets will be scanned upon entry. Those unable to reserve seats will be able to view a livestream broadcast of Grandin's presentation on the OVC Digital Network. Grandin is currently a professor of animal science at Colorado State University in Fort Collins, Colorado. Her specialties include the behavior and handling of cattle and pigs; the design of livestock handling facilities and restraint systems; and the study of animal welfare in the meat industry. Diagnosed with autism in the 1950s, Grandin is a top spokesperson for the autistic community in addition to her work in the animal science field. She is the author of several books in both subject areas, and her life story was the subject of the HBO film “Temple Grandin,” starring Claire Danes. Grandin has appeared on numerous television shows, including 20/20, 48 Hours, 60 Minutes, the Today Show and Larry King Live, and has been featured in publications such as People Magazine, the New York Times, Forbes, U.S. News & World Report, Time Magazine and Discover magazine, among others. In 2010, Time Magazine named her one of the 100 most influential people in the “heroes” category. Grandin will also speak with students in both agriculture and behavioral science classes during her campus visit. The Ed and Llew Jones Distinguished Lecture Series was recently reinstated by Meg Kinnard Hardee, the only granddaughter of former Congressman Ed Jones, and her husband, Geoffrey Hardee, in honor of Meg’s grandparents. For more information on Grandin’s appearance or for assistance downloading tickets, contact Dr. Emalee Buttrey, assistant professor of animal science, at 731-881-7255 or ebuttrey@utm.edu, or Sara Rachels, Paul Meek Library, at 731-881-7083 or srachel1@utm.edu. PHOTO ID: Dr. Temple Grandin is an internationally-known animal behaviorist and autism advocate. Photo provided by Colorado State University and taken by Rosalie Winard.